Her Dad Wrapped Giant Nuts For The Squirrels In Their Backyard! Merry Christmas, Squirrels! Lucy’s father, Paul, wanted to do something that would cheer the family up on Christmas morning. A few days prior, the family experienced a tragedy…and doing something kind for the woodland creatures that frequently came to explore in the family’s yard seemed like a great way to lift their spirits. 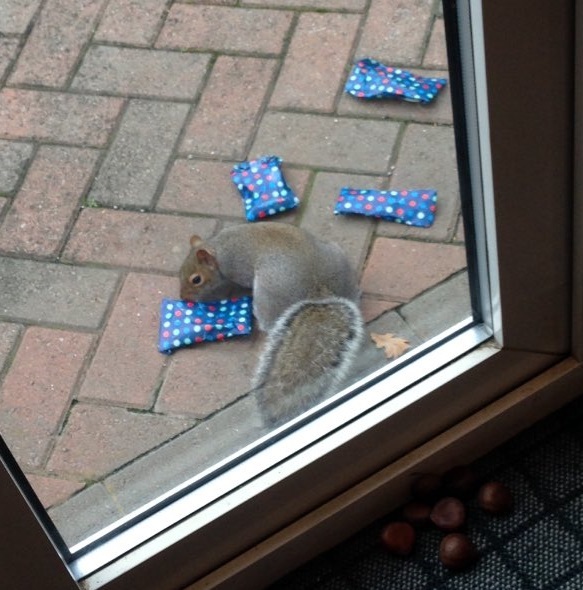 He wrapped four gifts for the four squirrels that would most likely show up and laid them outside. 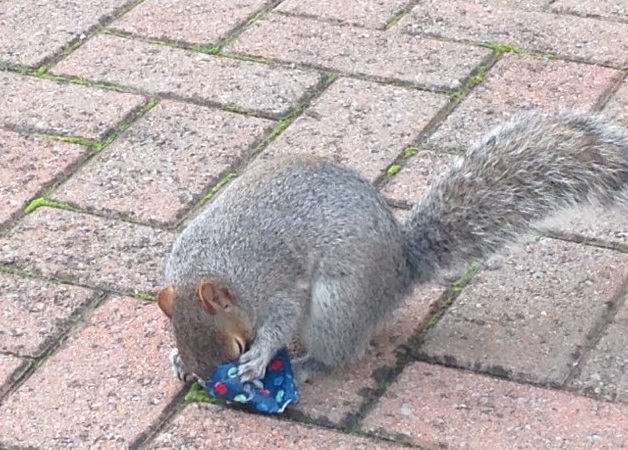 One of the squirrels was quick to investigate the curious packages that smelled so good! They wrapped an assortment of nuts so that the squirrels would have a bit of variety. Brazil nuts, peanuts, almonds, and cashews made it into the mix! They got a selection so it was a special Christmas present!” Paul said. Lucy shared her pictures on Twitter so that her friends could see what had happened at her house that morning. 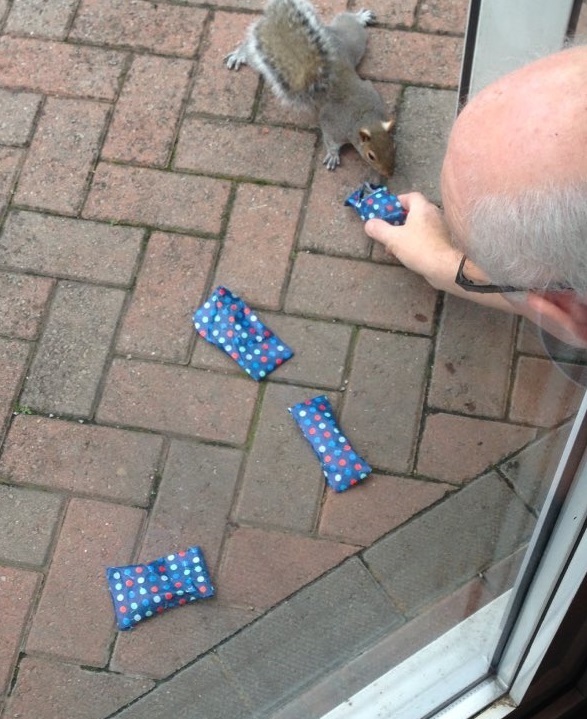 He showed kindness to the little animals and made their Christmas extra special.